The Academy for New Americans is a free leadership-training program sponsored by the City of Bowling Green that empowers New Americans to understand and participate in City Government. The purpose of the program is to provide New Americans the tools necessary to successfully navigate City services, community information and resources in order to become key stakeholders in assisting their respective ethnic communities and neighborhoods. 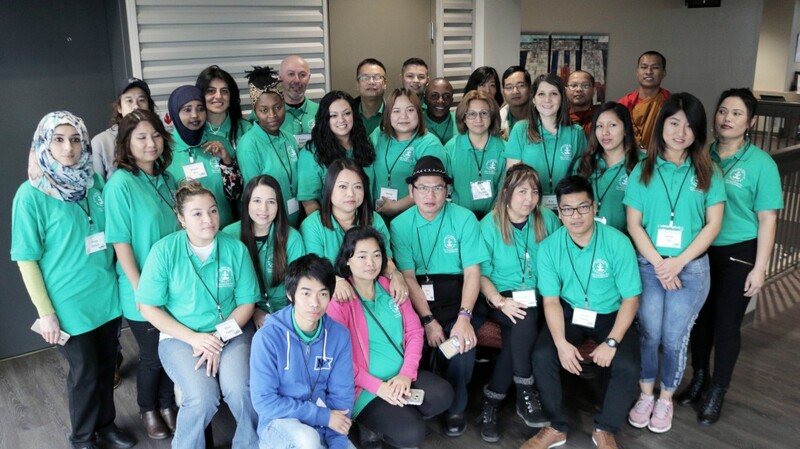 The Academy for New Americans will be led by the International Communities Liaison Office (ICL) in the Department of Neighborhood and Community Services. Gain an in-depth understanding of City government services. Government services vary greatly from country to country; often times they may be non-existent or unreliable. Have greater accessibility to existing City and community resources. Language barriers, lack of knowledge, and lack of access are some of the obstacles that New Americans encounter in accessing services. The Academy for New Americans will help bridge the gap in accessing existing resources. Build leadership capacity. Leadership is viewed and interpreted in many different ways across the world. The Academy for New Americans will offer culturally appropriate pedagogy in leadership skills for the successful integration into American culture. Become part of the larger community network. Participants will connect to existing network in the community, broadening their opportunities to actively participate in leadership roles. Leadership Development: discussion and team-building exercises to build leadership skills. City Government Services: discussion about our City Manager form of government, and the election of Officials and their responsibilities. Overview of City Departments and services. Will include learning how to use our public transportation system. Public Safety and the Courts: Tour and presentation of Police and Fire Department. We will also have an explanation of the criminal and civil courts. Discussion on the Department of Motor Vehicle and Driver’s Licenses. Citizenship and Civic Engagement: learn about the naturalization process and its importance, how to apply for U.S. citizenship, what does it mean to be a U.S. Citizen. Discussion on what civic engagement means and ways to become civically engaged. Volunteerism and Community Engagement: participants will work on a volunteer community project with a local non-profit organization. An overview on volunteer opportunities and community resources available throughout the City. A separate class graduation dinner will be scheduled where participants who successfully complete the Academy for New Americans will be recognized along with their family members. The third class will be limited to a maximum of 30 participants. Applications are available online at: https://www.bgky.org/new-americans. The deadline to submit applications for the 2019 Class is Thursday, January 3, 2019. Applicants must be foreign-born individuals with legal status in the United States. Applications will be selected on a first-come, first-serve basis pending that all application requirements are met. Consideration to equal representation of our diverse ethnic communities will be given when selecting applicants. Priority will be given to applicants who reside in the incorporated limits of the City of Bowling Green. There is no cost to participants to attend; however, all applicants must be committed to at least four of the five month sessions. Once selected, each participant will receive a letter of acceptance that can be used to demonstrate to an employer active participation in the program. The City will communicate the acceptance of each participant to their respective employers to ensure that each understands the value of participation in the Academy for New Americans. Because the sessions will take place during regular business hours, we want to ensure that the employer will still compensate employee if the sessions take place during the employee's work shift. Meet the participants of the 2019 class.